Ten years in the writing, Mark Danielewski&#146;s 700-page hypertext ghost story, House of Leaves, is a remarkable display of innovative book design. Dueling storylines are told simultaneously in contrasting typefaces. Blocks of text are printed upside down, sideways, backwards, or on top of one another. Hundreds of dizzying encyclopedic footnotes are sprayed across the pages. There are footnotes to the footnotes, and color-coded words, 200 pages of appendices, and an all-inclusive index that lists page cites for words like "with" and "and." House of Leaves exhaustively dissects all of the mythological and metaphorical baggage that can be attached to the idea of a haunted house. The book itself seems intended as a kind of out-of-control haunted literary artifact. "I still get nightmares," is the warning directed at us in the introduction. If not troubled sleep, readers can at least expect eye strain and mental fatigue. Danielewski&#146;s novel ultimately feels overburdened with imaginative embellishments, like a George Lucas movie punch-drunk from too many special effects. The Chinese-box narrative begins with Johnny Truant, a 25-year-old tattoo shop employee living on the druggy fringes of Los Angeles subculture. Truant tells the story of how he came into possession of a mysterious manuscript titled "The Navidson Record," which purports to be an in-depth analysis of a paranormal documentary film shot ten years ago by Will Navidson, a Pulitzer Prize-winning photojournalist. "The Navidson Record" is the central text of House of Leaves. Johnny Truant adds his own exegesis in lengthy autobiographical footnotes that chart his psychological breakdown as he becomes increasingly obsessed with the tale of Will Navidson&#146;s strange Virginia farmhouse. 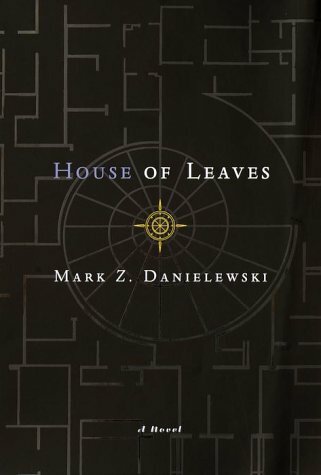 House of Leaves has a satirical subtext that Danielewski builds into a major conceit. Navidson&#146;s documentary film — also called "The Navidson Record" — becomes a box-office success and cultural phenomenon when it&#146;s released to movie theaters in 1993. Many of the 450 footnotes in House of Leaves are references to magazine articles and books that have supposedly been written about the movie. Everyone asks: is it authentic or is it a hoax? There are excerpts from academic film theorists and sociologists and deconstructionists. Leno and Letterman joke about "The Navidson Record" in their monologues. Harold Bloom, Stephen King, Camille Paglia, and numerous other pundits and celebrities weigh in with their opinions about the significance of Navidson&#146;s haunted house. Some of this material is amusing in the manner of Woody Allen&#146;s Zelig, adding a gloss of verisimilitude to a fictional landscape. But the effect quickly becomes repetitive and tiresome. There&#146;s simply too much of it. After the first 100 pages or so, Danielewski is huffing and puffing to sustain the gimmick. Of course there will always be darkness but I realize now something inhabits it. Historical or not. Sometimes it seems like a cat, the panther with its moon mad gait or a tiger with stripes of ash and eyes as wild as winter oceans. Sometimes it&#146;s the curve of a wrist or what&#146;s left of romance, still hiding in the drawer of some long lost nightstand or carefully drawn in the margins of an old discarded calendar. Sometimes it&#146;s even just a vapor trail speeding west, prophetic, over clouds aglow with dangerous light. Of course these are only images, my images, and in the end they&#146;re born out of something much more akin to a Voice, which though invisible to the eye and frequently unheard by even the ear still continues, day and night, year after year, to sweep through us all. There might be readers who would consider the above passage to be evocative and poetic. Danielewski, from all appearances, is writing here with a straight face. But let&#146;s be honest: this is the kind of purple prose one expects to find in a dimestore romance novel, or a second-rate horror story. When the postmodern footnotes are stripped away, and when we look beyond the helter-skelter page layouts, House of Leaves is a shockingly pedestrian piece of writing. The novel&#146;s characters would barely pass muster in one of Stephen King&#146;s lesser efforts. Navidson&#146;s wife Karen (a beautiful ex-model), and their children Chad and Daisy, are all thinly developed. The marital tensions between Navidson and Karen have the simplistic contours of soap opera. There&#146;s an enigmatic "other" woman named Delial. When her identity is finally revealed, it&#146;s a melodramatic groaner. The "bomber crew" cohorts that Navidson gathers together for his expedition are cardboard cutouts. They include Navidson&#146;s estranged alcoholic twin brother, Tom, who tells corny jokes to keep the darkness at bay. And there&#146;s the "professional hunter and explorer," Holloway Roberts, who tries to shoot the darkness into submission, but instead goes mad. Finally, there&#146;s the gruff African-American wheelchair-bound paraplegic, Billy Reston. Perhaps these characters are satirical riffs on male-bonding archetypes from old Howard Hawks movies. On any level, however, Danielewski&#146;s approach to characterization is inept. Johnny Truant warns us more than once that the manuscript we&#146;re reading is nothing but the delusion of a blind old man named Zampan�. At other times, Truant tells us that he himself is lying. House of Leaves is a mansion of unreliable narrators. It&#146;s also one of the most overrated and overhyped debut novels of recent years.